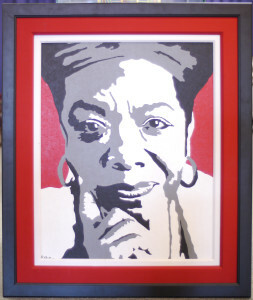 I know you have been receiving many questions about Maya Angelou’s estate sale. I will be traveling from Jacksonville, Florida and would like to know if you believe I could even get into the sale because of the large number of people attending. It would be a great dissapointment for me to travel that distance, spend money at a hotel for a couple of days and then not be able to attend the sale. Any help you can give is most appreciated. This sale was very well organized and the people were organized.You could get whatever you wanted if you had the money it was a part of history and we loved it. I missed getting a red chair and some tall cabinets , someone beat me to them. Just loved having the chance to walk where she and her guest had walk. Thank you Lord for a great lady.